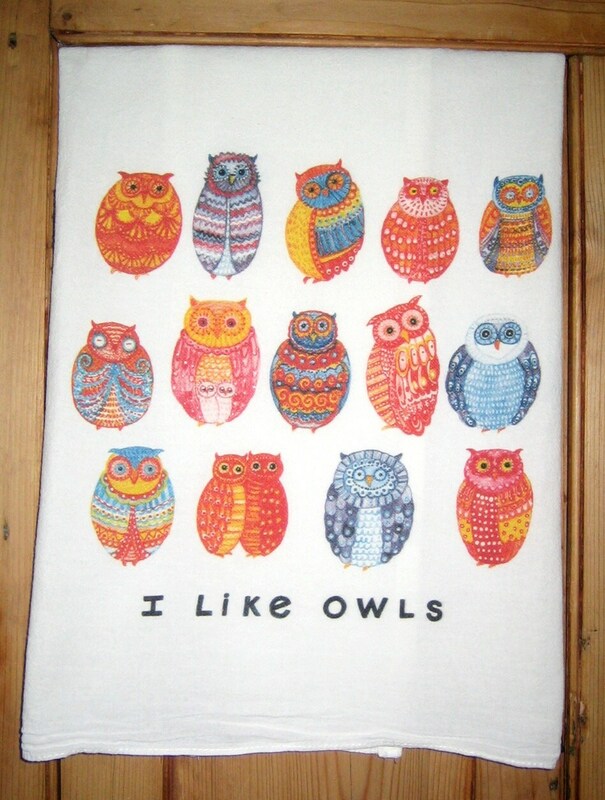 Owls, detailed and fun, folk art style, digitally printed from original watercolor painting on nice quality, large, white, cotton, kitchen towel. Towel appx 30X30, design 10" across, canter, bottom edge. 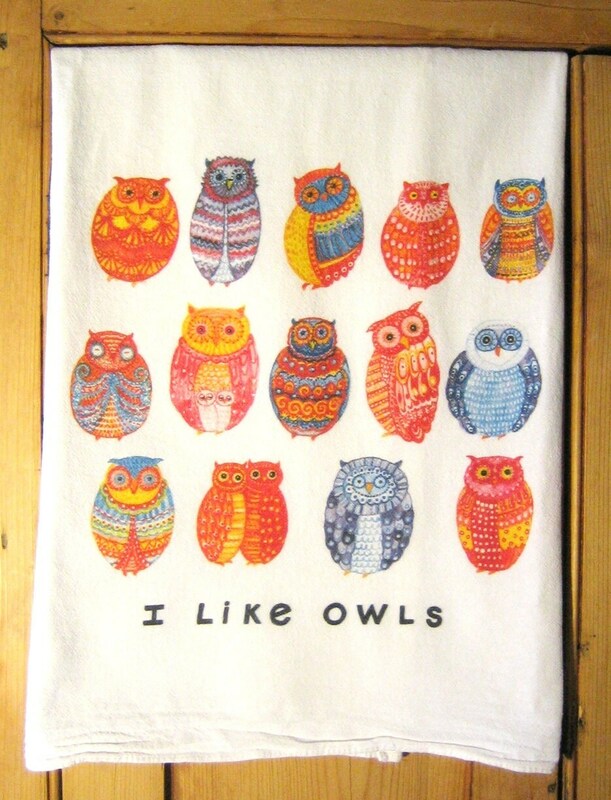 Please see picture of towel showing design placement on towel as this is a picture on a large towel and not an overall design. Towel is large as it is meant to be used and design is meant to be shown when towel is folded over oven handle or on a towel rack. 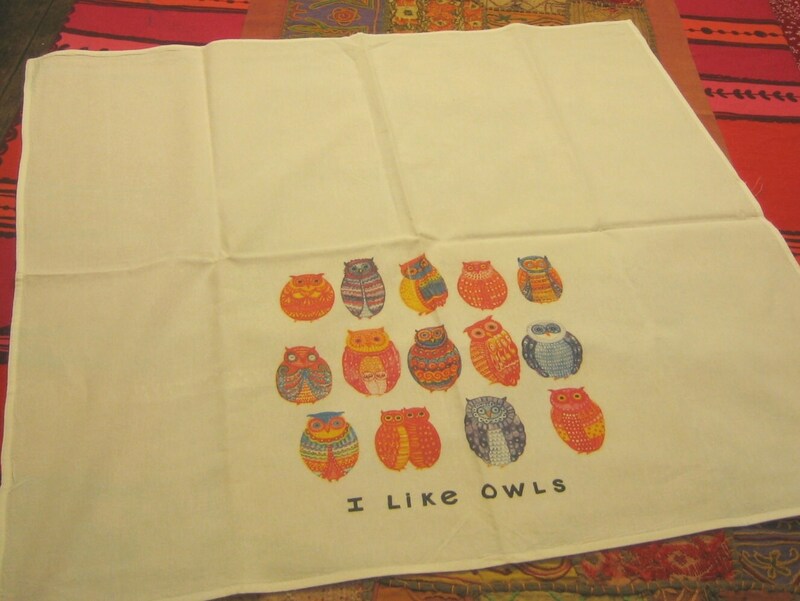 Print is very nice and there may be slight variations here and there as this is a digitally printed towek but also done one by one, by hand. We think it looks great and hope you will too.